Hot on the heels of that Mortdecai poster featuring Johnny Depp as the title character and Gwyneth Paltrow as his scheming wife, we’ve got the film’s latest trailer. What the first Mortdecai trailer teased, this one delivers in droves with its ability to show off the true scope of the dark comedy that features Depp as an international art dealer who is just this side of debonair. Mortdecai finds Depp criss-crossing the globe in search of a stolen piece of priceless art that must be found for Queen and country. Of course, if there’s high-priced art involved, Depp’s Mortdecai will never shy away from profiting in some manner. He will have to grapple with an international terrorist, some serious pissed off Russians and the British spy agency Mi5 who is watching his every move. Oh, then don’t get us started on his wife’s involvement! 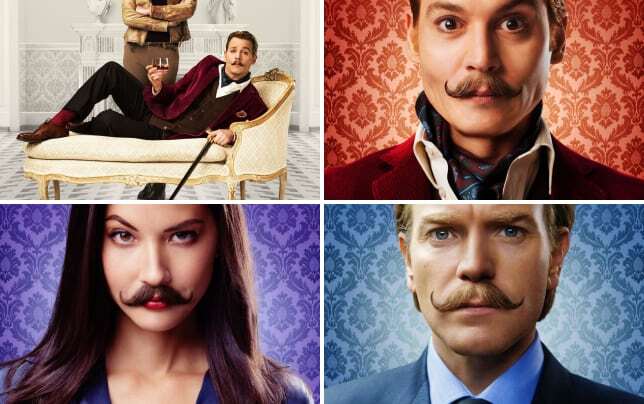 Mortdecai lands in theaters January 23, 2015 and also stars Paul Bettany, Olivia Munn, Jeff Goldblum, Oliver Platt and Aubrey Plaza!